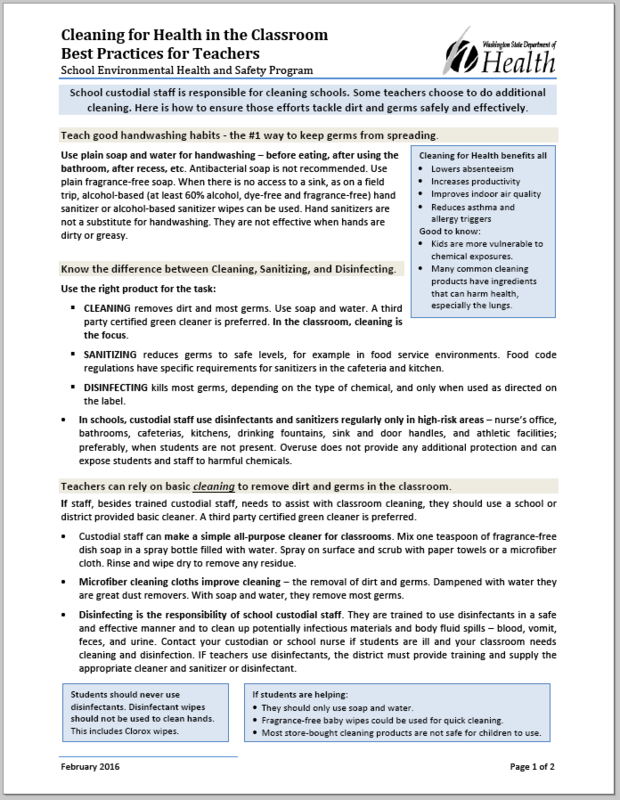 The Washington State Department of Health generated an excellent best practices guide for teachers and other school personnel who choose to do additional cleaning above and beyond what is provided by district custodial services. It addresses proper cleaning, disinfection, hand washing, and the need to reduce unnecessary overuse of chemicals and disinfectants. A classroom where more than 25 people, some of them sensitive or asthmatic, spend long hours poses a different situation than our homes. 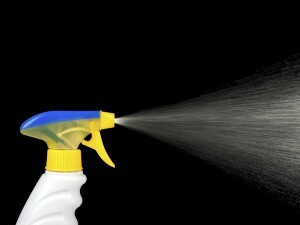 The care and cleaning of classrooms requires special attention. For the benefit and health of students and staff, please distribute this document as widely as possible, discuss it with staff, and incorporate it into your district’s cleaning and chemical policies.